In this tutorial you will learn how to configure your turtlebot robot to display image from 3D sensor, including Asus Xtion Pro Live camera and Kinect Camera. 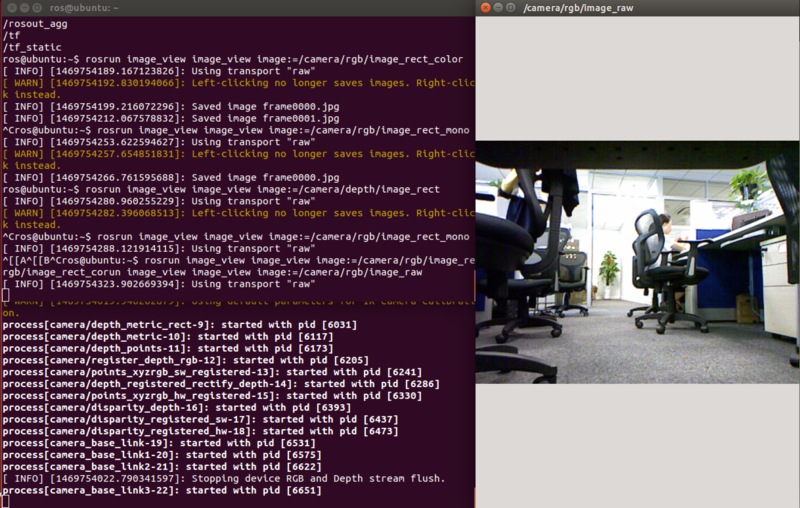 Prio to ROS Indigo, the Turtlebot ROS package provided a default support for Kinect camera. 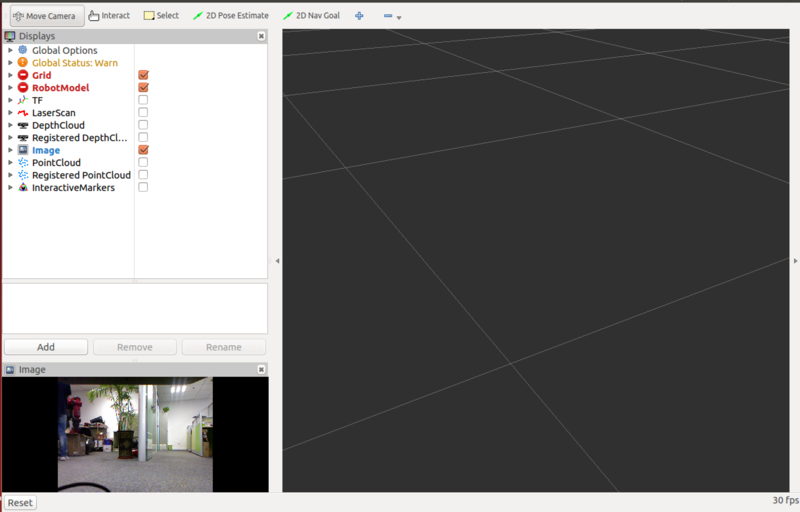 However, for ROS Indigo and later versions, Turtlebot package provides a default support for Asus Xtion Pro Live 3D sensor, and it requires some additional configuration to work with Kinect. In this tutorial, we will introduce how to set-up and test both sensors for ROS Indigo and later versions. Make sure that you completed installing all the required packages in the previous tutorials, your network set-up is working fine between the ROS Master node and the host node. The default sensor that is used with ROS Indigo is the Asus Xtion Pro Live 3D sensor. The image below is for the Asus sensor. Remember that if you work with ROS Indigo and later version, you do not need to make the above command, as it is the default 3D sensor, unless you already changed it to another setting. Both the packages will be installed in the same folder and you can find this file in the following path /opt/ros/indigo/share/openni2_camera and /opt/ros/indigo/share/openni_camera. You will find more oppeni folders which also belongs to the same package. Note that this is the package that is responsible for running the 3D sensor. Prio to ROS Indigo, this ROS package was configured to start Kinect 3D sensor by default. However, for ROS Indigo and later versions, it was configured to run Asus Live Pro 3D sensor by defaut. If you want to use Kinect 3D sensor with your Turtlebot on ROS Indigo and later version, refer to the next section Kinect 3D Sensor. 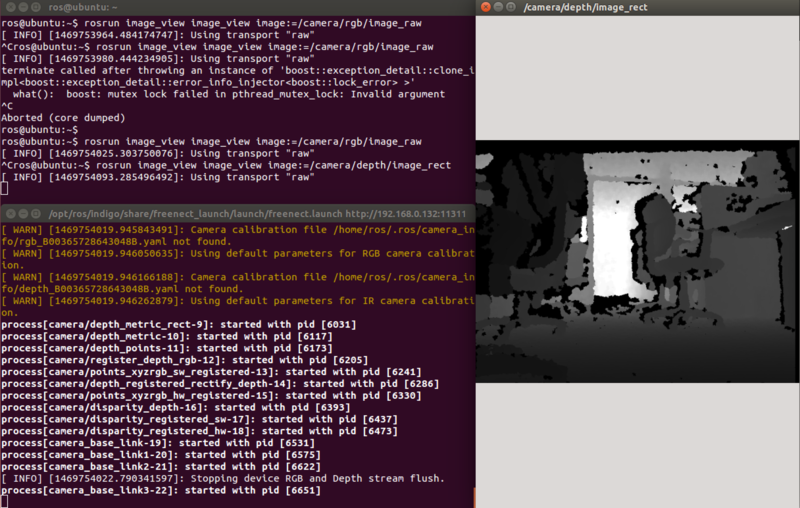 openni_camera: A ROS driver for OpenNI depth (+ RGB) cameras. These include: Microsoft Kinect, PrimeSense PSDK, ASUS Xtion Pro and Pro Live The driver publishes raw depth, RGB, and IR image streams. QuickStart Tutorial: This tutorial demonstrates how to open a Kinect (or other OpenNI device) in ROS, introduces ROS tools for visualization and configuration, and explains how to get registered (depth + RGB) outputs like color point clouds. The TURTLEBOT_3D_SENSOR environment variable is set in the previous steps in the .bashrc file according to your sensor type. Note that the value of this variable will affect more setting parameters for the initialization of the 3D sensor afterwards in the same .launch file. Then save, exit and close the terminal. Open a new terminal. Do not worry about the warning appearing in the terminal after running the previous command. 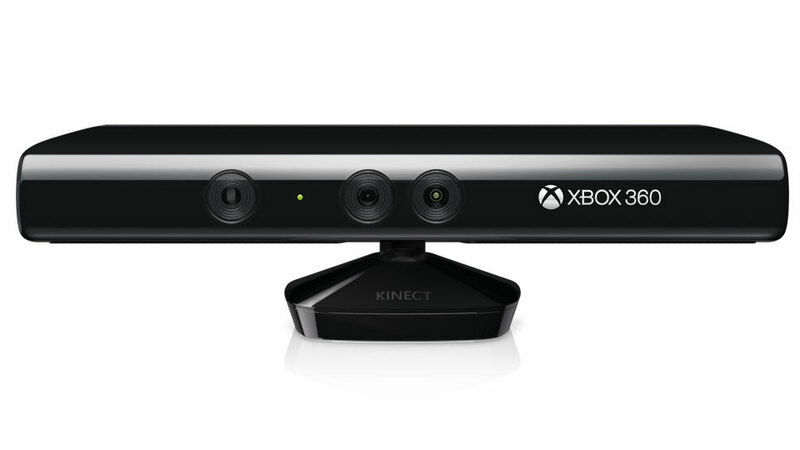 libfreenect: freenect is a library for accessing the Microsoft Kinect USB camera. freenect_launch: This package contains launch files for using a Microsoft Kinect using the libfreenect library. This folder replicates the API offered by openni_launch in an effort to maintain maximum compatibility with the OpenNI driver. OpenKinect WiKi: This page documents how to get started using OpenKinect. The darker the object is the closer it is to the turtlebot.